Here’s a list of the best deals on Black Friday for play kitchens. Some of the current prices are better than Black Friday deals. 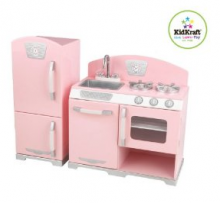 As we’ve seen in the recent past, the Kidkraft Vintage play kitchen sold out very quickly this weekend. Make sure you grab yours when the price is right for you! target had this kitchen for 17.49 today. unbeleivable. sad I missed it!